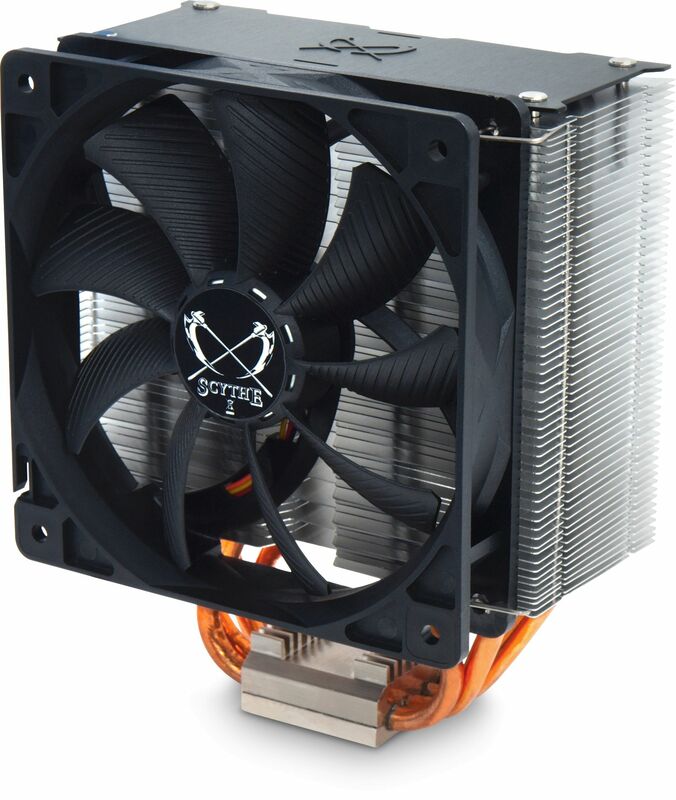 The Kotetsu is a 120mm tower CPU cooler that provides excellent cooling at extremely low noise levels considering its compact size. At first glance, the Kotetsu might seem like a "mini Ashura" - a fact which visually can hardly be denied. When looking at the fundamental concept, however, the two similar looking coolers couldn't be more different. The Kotetsu is tailored towards users on a little tighter budget: It has four heatpipes, for airflow a 120mm GlideStream PWM is in charge - for the heat dissipation level of the Haswell processors this combination is more than efficient, cooling performance will not disappoint. Despite being a budget-priced cooler, the Kotetsu is fitted with the latest H.P.M.S. (Hyper Precision Mounting System), and makes use of the "Narrow Fin" design. The new Kotetsu also draws on the highly proven M.A.P.S. already having shown excellent results with the Mugen 3. 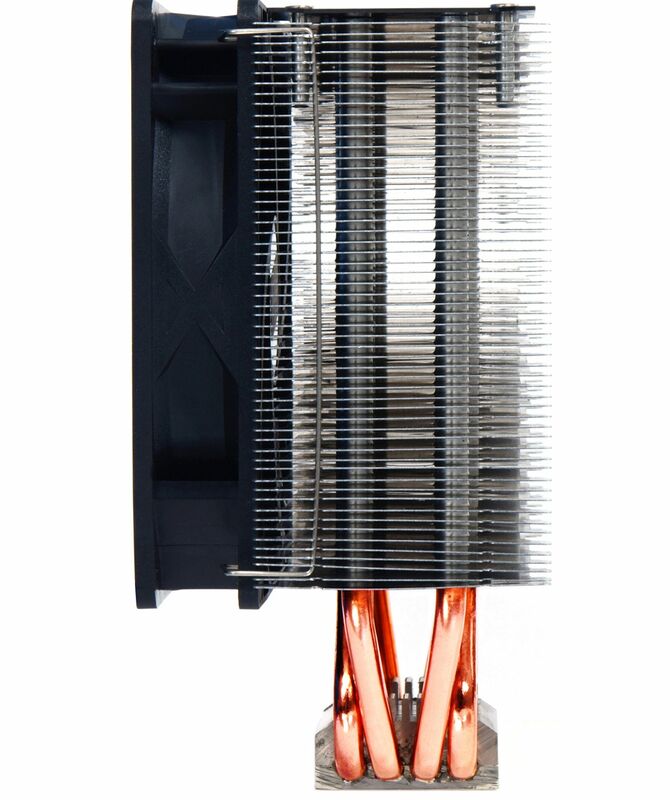 Thanks to the optimised arrangement of the fins, pass-through airflow inside the heatsink is ramped up, leading to even better cooling performance. Another new feature can be seen is the Kotetsu's new mounting system. Based on the over-the-years experience of CPU cooler mounting systems and Scythe expertise, the Kotetsu mounting was designed with the keywords "simplicity" and "reliability" in mind. 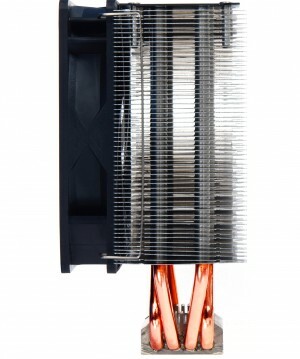 The supplied new Glide Stream 120 PWM fan with its' unique blade design is automatically controlled by the motherboard's PWM function, the temperature adjusts to the CPU. *Please note that an original backplate with screw mounting is required for installation on motherboards with AMD sockets. Please check before buying if the backplate is fixed by screws! 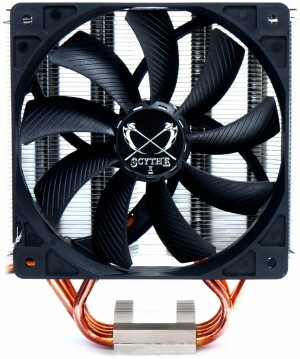 If the backplate uses plastic-pins, mounting of this cooler is not possible.